Chloë Grace Moretz (Clouds of Sil Maria) stars in the action-packed, science fiction thriller The 5th Wave. 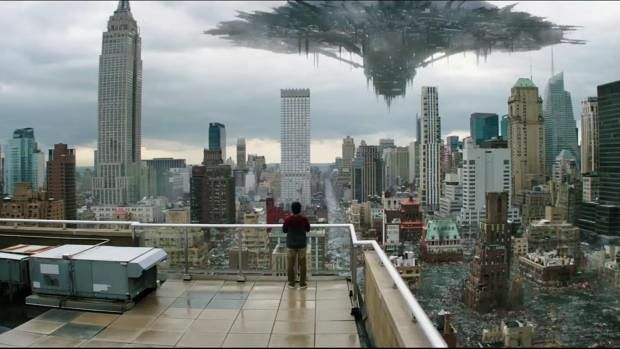 Based on the best-selling novel by Rick Yancey, the film follows opens with the knowledge that four waves of increasingly deadly alien attacks have left most of Earth decimated. Against a backdrop of fear and distrust, Cassie (Moretz) is on the run, desperately trying to save her younger brother (Zackary Arthur). As she prepares for the inevitable and lethal fifth wave, Cassie teams up with a young man who may become her final hope – if she can only trust him. Directed by J Blakeson (The Disappearance of Alice Creed), the PG-13-rated film also stars Nick Robinson (Jurassic World), Ron Livingston (The End of the Tour), Maggie Siff (TV’s Mad Men), Alex Roe (Sniper: Legacy), Maria Bello (Beautiful Boy), Maika Monroe (It Follows) and Liev Schreiber (Goon). Bonus content on The 5th Wave, Blu-ray, DVD and digital formats includes filmmaker and cast commentary as well as the making-of featurettes “Inside The 5th Wave” and “Sammy on the Set.” In addition, fans will receive a sneak peek excerpt from The Last Star, the finale to Rick Yancey’s #1 New York Times bestselling series. Blu-ray and digital exclusive content includes deleted scenes, a gag reel, and three additional featurettes: “The 5th Wave Survival Guide,” where the cast shares their thoughts on how to survive the 5th Wave; “Training Squad 53,” which follows the cast as they train for the film; and “Creating a New World,” which highlights the film’s visual effects.